The catastrophic Gulf oil spill which began in late April has continued to frustrate all efforts to contain it, and has now reached the shores of Louisiana. Pictures published on Monday show the tragic effects of the spill on animals along the coast, including birdlife. 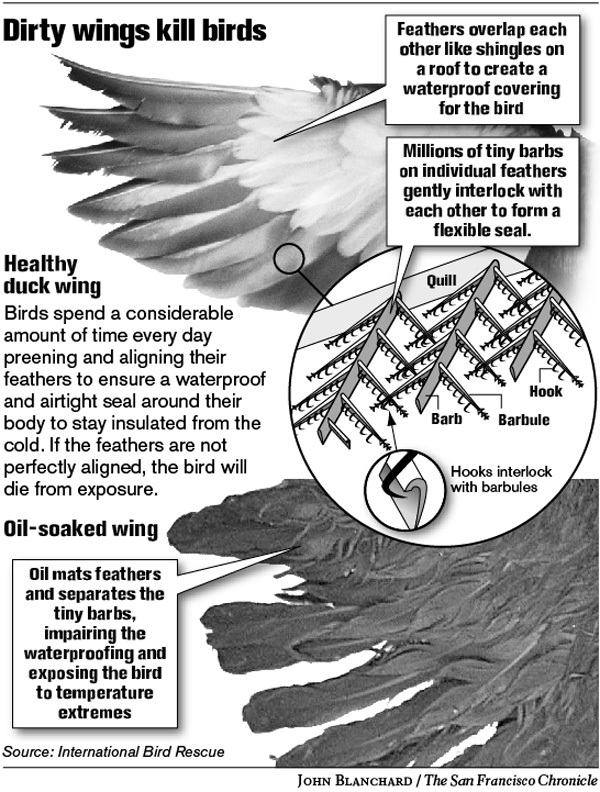 A graphic in the San Francisco Chronicle perfectly illustrates why oil is so harmful to birds: it disrupts the weatherproof protection formed by feathers, exposing birds to extremes of temperature which can prove fatal.